In small bowl, whisk together vinegar, mustard, salt, pepper, sugar and oil, until smooth. Refrigerate to blend flavors. Whisk again just before serving. Makes 4 servings. 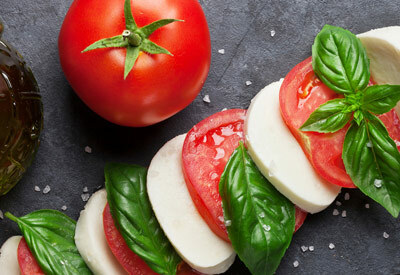 Alternate mozzarella slices, tomato slices and basil leaves, slightly overlapping on serving plate. Drizzle with dressing and sprinkle with coarse sea salt just before serving.